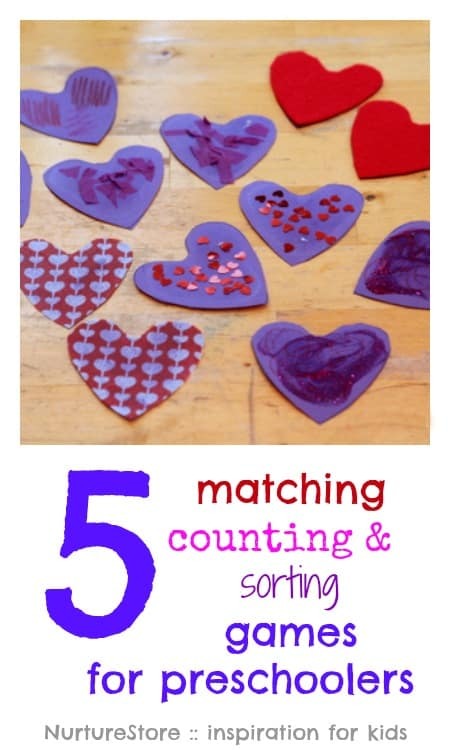 Make yourself a set of DIY texture cards and try these counting, sorting and matching games for preschoolers and toddlers. 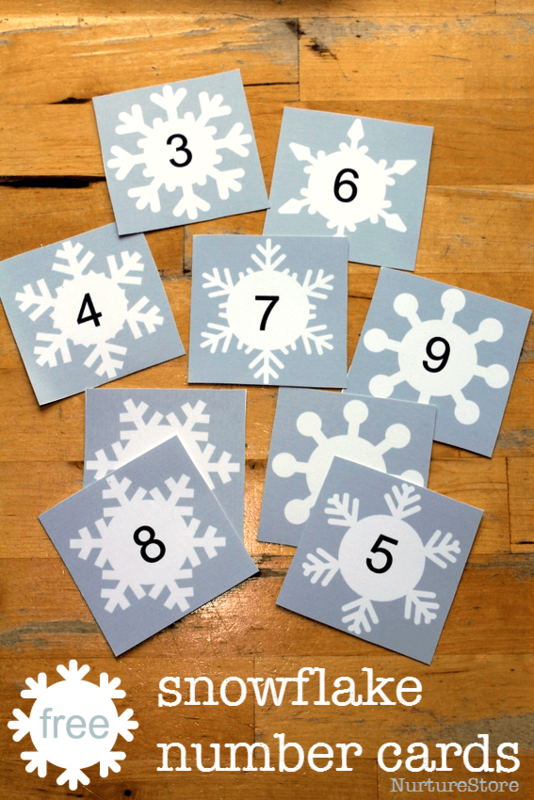 This free snowflake printable is great for hands-on learning. Try them with these ideas for math games and language and literacy activities. When children learn to read and do simple arithmetic they need to be able to use their memory to recall information. 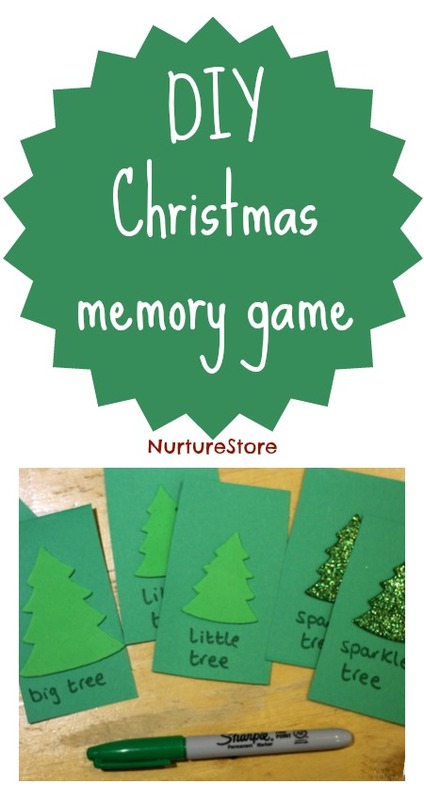 A way to help develop this memory skill is with a simple party game, which you can play individually with your child, or with a group of children. 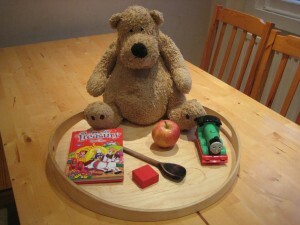 Sit the children down and show them the objects on the tray – say what each item is and have a chat about them. Tell the children you’re going to cover the objects up and then take one away – they’ll have to guess which object is missing. The children can take it in turns to guess which is missing, or with older children the first person to shout out the answer is the winner. Bear in mind that children develop memory skills at different rates, so take care not to make anyone feel they are wrong or can’t take part. If a child can’t remember you can give some clues (refer back to what you said about the objects at the beginning of the game) or ask the team to help out. As children get more skilled at remembering you can use a larger number of objects or remove two items at a time.